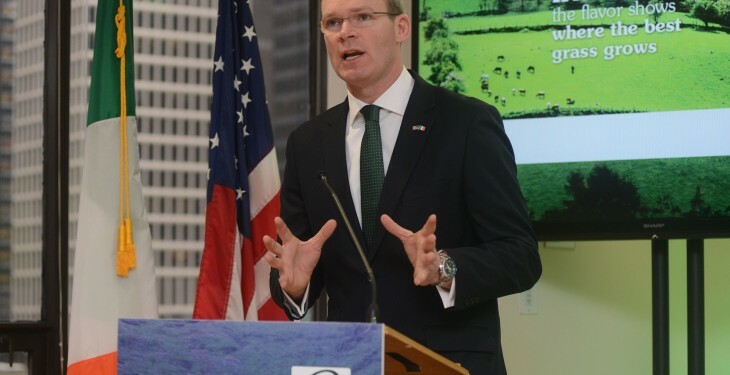 Minister Coveney in the US. While the Minister for Agriculture Simon Coveney may come in for criticism at times for his performance at home, his abilities as an international ambassador for the Irish agri-food sector is undeniable. 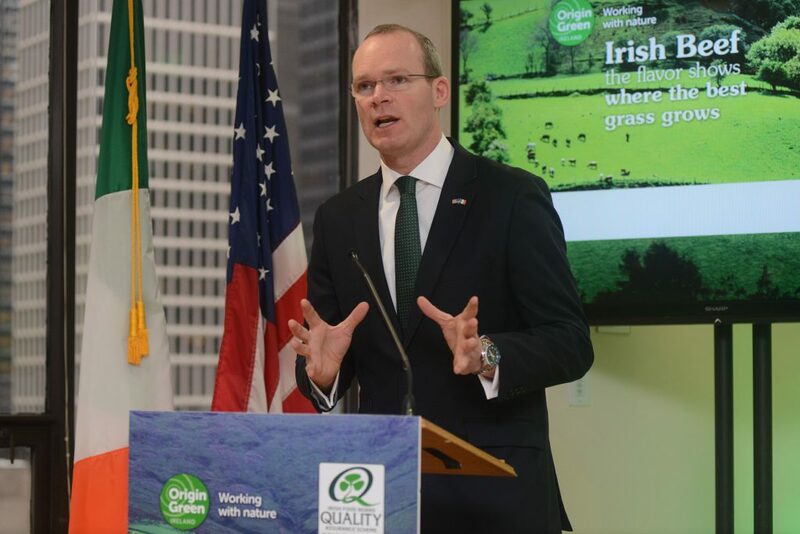 During a three-day beef promotional tour of the US this week, which included whistle stop visits to the major east coast cites, the Minister excelled in this role as the face of Irish beef in the US. The Cork man’s attention to detail and ability to engage with key players during what was a jam-packed schedule was second to none. Indeed, most American attendees at the various promotional events for Irish beef commented that Ireland is lucky to have such a competent Minister leading the charge for Irish beef in America. His latest trip to the US is not the only successful trade mission which Minister Coveney has led in recent times, with most commentators noting his track record in this area right to the beginning of his term in 2011 with trips over that time including key markets in China and the Middle East. These missions matter to Irish farmers. Europe’s population is set to fall in the coming decades and casting our net farther from our shores will be essential to the Irish agri-food sector in the future. However, the key issue for Minister Coveney is that the Americans, Chinese and Saudi’s don’t vote in Ireland and, with an election likely now only months away, it will be the Minister’s perception at home (among farmers in particular) that will count. That perception and his general popularity among the farming community has, unquestionable, weaned over the years since he took up office. Some might say it’s the nature of the business and rarely does a Minister emerge from a stint in Agriculture House with enhanced popularity among farmers. But I noted, with interest, recently when one farmer remarked to me that ‘Minister Coveney is the best ‘Minister for Agri-business’ Ireland could ever want’, but as for a Minister for Agriculture he was less complimentary. And, this will be Ministers Coveney’s key challenge in the run up to the next election – addressing a feeling, among smaller farmers in particular, that they are not represented by him. Undoubtedly, he is likely to look to the promised Rural Development Plan to aid in this endeavour with key schemes such as GLAS especially targeted at farmers in this category. But, in a business like politics, where perception is everything, the Minister will need to up his game at home to secure the crucial ‘farmer’ vote in 2016.